All the while, DreamHost is a bit slower, with an average of 538ms page load speed. But they boast a 100% uptime guarantee and their servers, according to testing again, are up and online 100%. So DreamHost is our winner as regards performance. A2Hosting offers a shared hosting plan starting at $3.38/ month. They have other offers, such as VPS Hosting for 4.31$/ month and dedicated server hosting at $8.03/ month for semi-dedicated serves and 99.59$/ month for a pure dedicated server. DreamHost offers VPS hosting, shared hosting so many more. Their prices start at $2.59/ month. And they offer unlimited resources and an SSD storage, which helps your site load fast and perform as well. In terms of pricing, DreamHost comes atop. However, in terms of features, A2Hosting is more reliable, even though their pricing is a bit higher. When it comes to security, A2Hosting offers solid and reliable security measures for their shared hosting plans and even more so for the more expensive plans. They offer 24 hours, 7 days a week network monitoring, quadruple redundant backups. They also have UPS power backup as a redundant power supply and diesel generators. And, as a plus, on their shared servers, they have load balanced servers. Enhanced security is guaranteed with free HackScan and daily kernel updates. DreamHost is not that generous. They offer SSL and TSL certificates for their customers and free domain privacy protection. These are must-haves for eCommerce sites. Therefore, although SSL and TSL are mandatory for online shopping sites, A2Hosting offers more reliability in terms of security for your online site. As much as usability is concerned: A2Hosting offers their clients either Windows or Linux based servers. As such, they can choose between either the Plesk or cPanel control panel for their site. They also offer Softaculous, which is their one-click app installation marketplace. Here you can find over 400 apps and scripts which are cost-free. DreamHost offers its own control panel which is well subpar when compared to A2Hosting. It has only 18 apps which can be installed through the 1-click method. So, as far as regards usability, A2Hosting is our clear winner. A2Hosting has its branded “Guru Crew” customer support. It’s available 24/7 via a ticket system, phone and live chat. They even offer multilingual support. And, when reading reviews regarding their customer support, A2Hosting is much appreciated by its customers. It is a FutureServe Green hosting provider and guarantees to get your site indexed by Google with the help of Attracta. DreamHost offers 24/7 customer support which is available only via e-mail and Twitter. They have positive reviews from their customers and offer a whopping 97-day money back guarantee. It is clear that A2Hosting comes atop again even though it has the standard money back guarantee of 30 days. Let’s sum it up in a pros and cons list. Here it goes. Now let’s see the pros and cons of DreamHost broken down for you. Few choices for 1-click install. 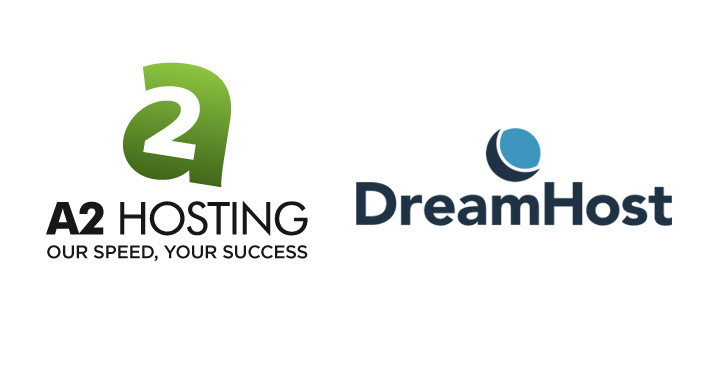 It was a tough one, seeing that both A2Hosting and DreamHost are reliable, affordable, and well-reviewed. However, there is one declared winner: A2Hosting. It has more resources, although higher-priced. Its customer service representatives are helpful, client-oriented, and available through more than one channel. So for those who need either a basic website or necessitate many resources, A2Hosting has a hosting plan for all and every client. Tell us what you think or your experiences with A2Hosting or DreamHost. If you have questions, let us know and we’ll answer it right away.